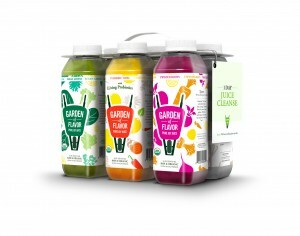 Garden of Flavor is Joy Juice! So, recently juicing’s been getting a bad rap from some nutritionists. “It’s not worth it;” “think about all those sugars;” “it doesn’t work;” “it won’t aid weight loss” etc., etc. Despite these claims juicing and juices are an important part of my life, though I am very picky about which juices I choose, and I’ve tried many. Juices work for me as a great way to get in a detox after heavy weekends (of which I have had many recently), add nutrients to my diet with my hectic lifestyle, and save on massive prep time. I like my juices to be light, not heavy, clean, organic and full of flavor. They need to feel refreshing and when I drink them I need to be replenished wih nutrients and goodness. I need a sense of wellbeing from my juices. My newest favorite on the market is Garden of Flavor, which are about as close to nature as juices come. 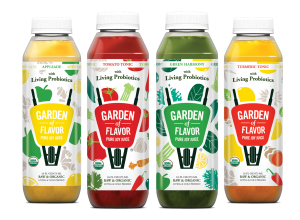 Garden of Flavor juices are cold-pressed, organic, never heated and made from fresh vegetables, fruits and nuts — just as nature intended. And that works wonders for me! I did the one-day cleanse, starting off with a wake-me-up zingy and spicy Goji-Pineapple juice which is packed with protein and amino acids (I’m hot on getting my protein in as a fitness instructor), followed two hours later with the very refreshing (and perfect for post-workout as it helps you to rehydrate) Cucumber Fresh. All the juices are non-GMO, vegan, BPA-free and gluten free, making them perfect for just about everyone! Mean Green is my lunch juice, and gives me all the veges I need, plus an alkaline boost (which is great for me as sometimes my diet is high on the acidic level), and I like a lot and I am a big kale fan. My son spies the Twisted Roots, which is my afternoon snack and full of healthy beets, one of my favorite vegetables for juicing. As much as I love greens, White Knight is a decadent treat with a cashew twist. This one is like drinking a little piece of heaven. My favorite – I’d love it with some oats or granola and a few blueberries too. Maybe next time! Finally I get to taste the Tumeric Tonic, which is a probiotic delight — I need all the help I can get with my digestion, despite being a greens and fiber lover. For some of us, a little help goes a long way! And I’m done. I’m complete and replete. I exercised still during my Garden of Flavor juicing day, which some juicing cleanses do not recommend, and as someone who’s job is fitness, is essential. I also feeling I’m getting all the essential nutrients I need, and my afternoon cravings are completely gone. I feel energized and refreshed, realigned and balanced. My body takes a beating sometimes and this cleanse has set me right and given me a gentle nudge back in the right direction. I still highly rate juicing because of all the vitamins, minerals and enzymes you can get into your body. With Garden of Flavor it’s like giving your insides a message and therapy session in one day. You don’t have to do the cleanse in one day, though. You can add juices to your regular healthy diet, which would work for me as someone who rushes around ALL the time! After this day cleanse I feel lighter and less bloated (my main issue! ), so I’ll be stockpiling Garden of Flavor to keep in my fridge so that I have them available through out the week. They are definitely part of my healthy lifestyle now! The Garden of Flavor website give you great advice all about cleansing, how to achieve the best results and how to incorporate it into your diet and lifestyle. Juicing still rocks my world, and, take it from me, these really are juices of pure joy!